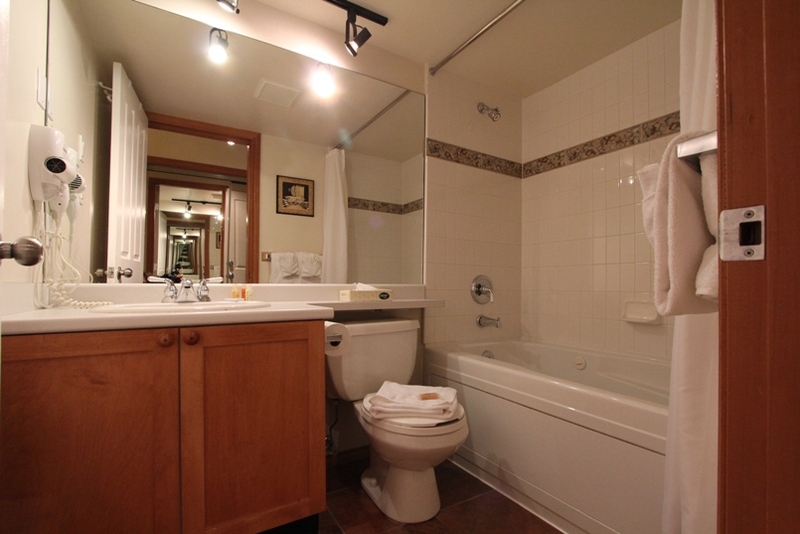 VILLAGE CONDO WITH PRIVATE HOT TUB. 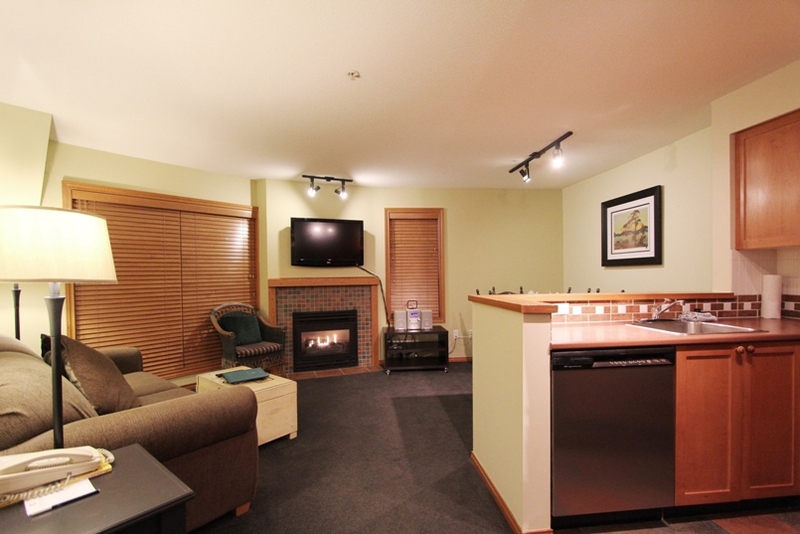 Updated single-level air-conditioned 2-bedroom Village condo with full kitchen, gas fireplace, a balcony, and private hot tub. Features a King Split (choice of King or two twins), a Queen bed, and a Queen sofabed. Guests can enjoy the shared pool. This single-level 2-bedroom condo best appeals to small groups and families. 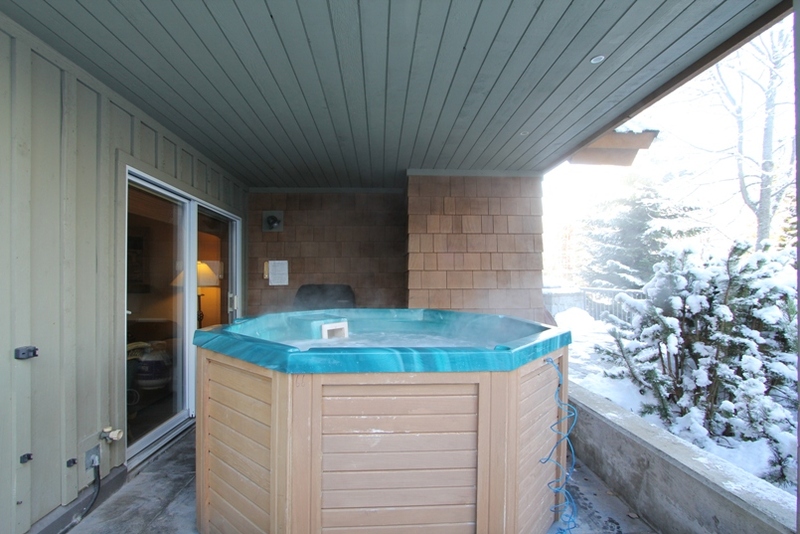 Enjoy soaking in your own private hot tub or curling up in front of the fireplace at the end of a fun-filled day. 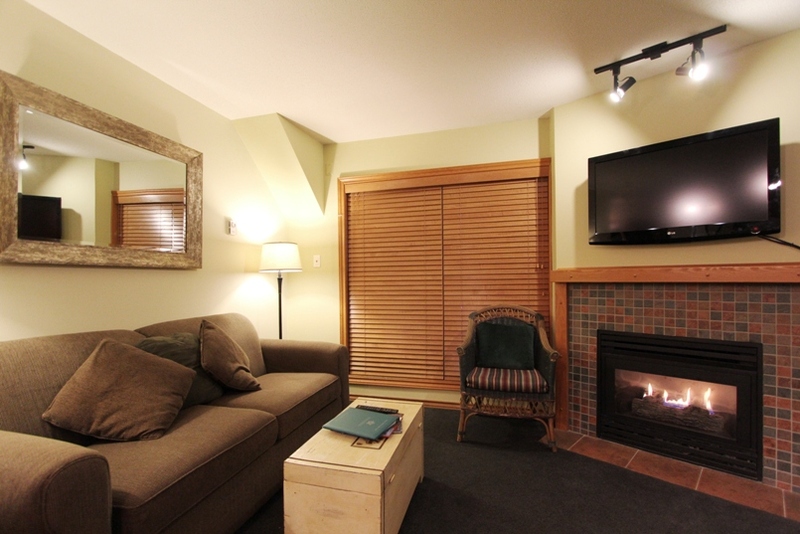 The cozy living space includes a gas fireplace, a queen sofabed, and a 42" LCD TV and DVD player. 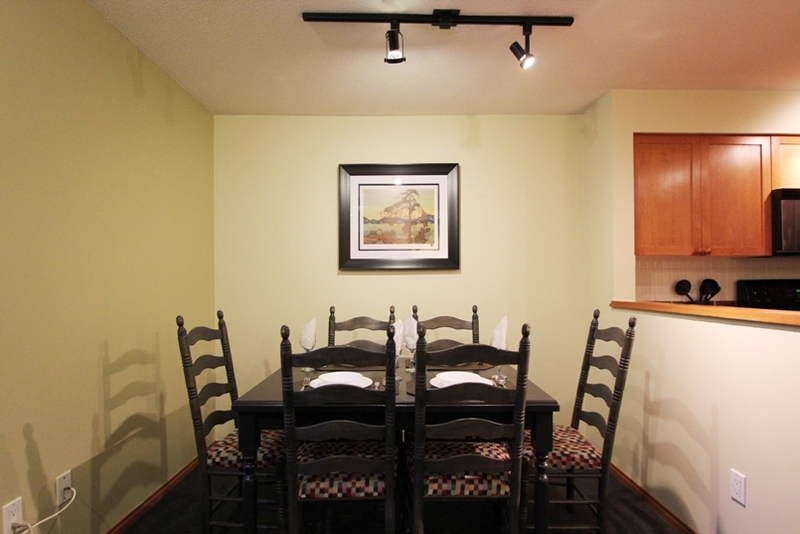 The dining nook has seating for up to 6 guests. 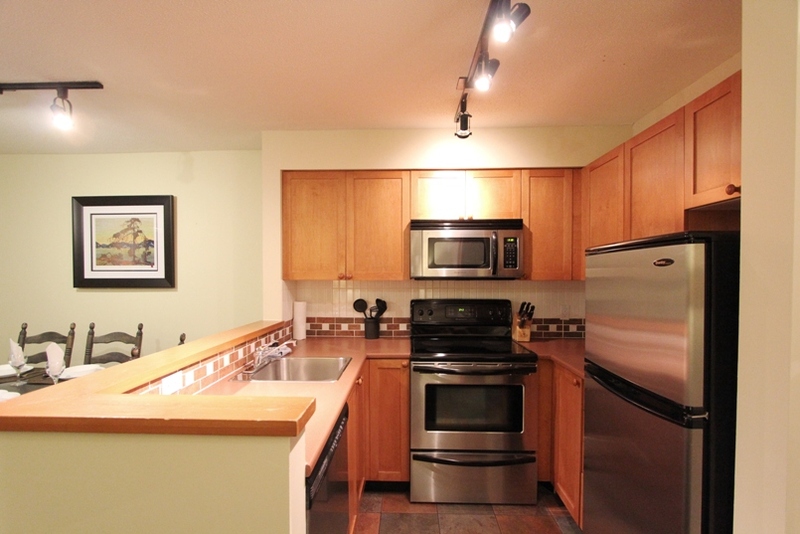 The fully-equipped updated kitchen has stainless steel appliances. The large balcony includes a private 6-person hot tub. Private washer/dryer. 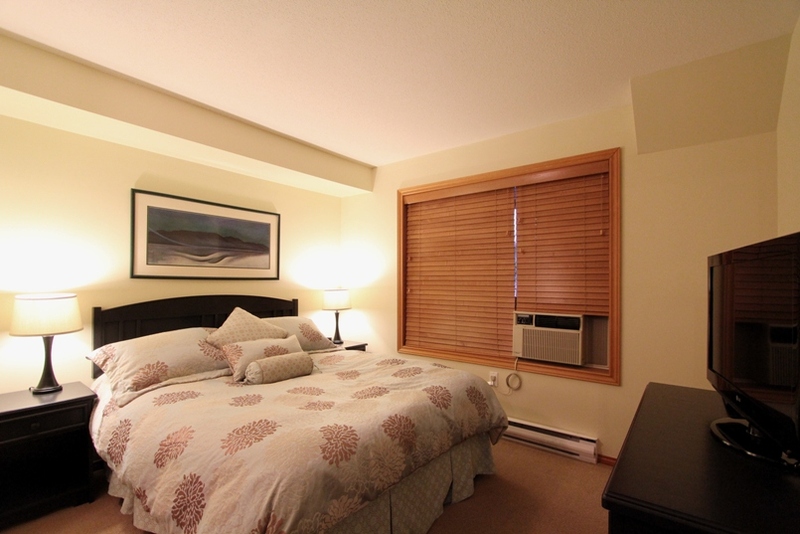 The spacious master bedroom has a queen bed and a 32" LCD TV. 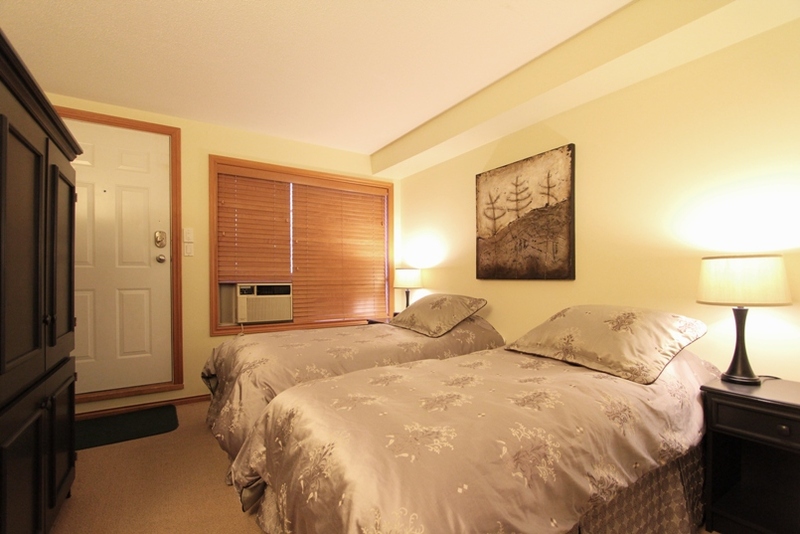 The second bedroom has a king size bed that can be split into two singles and a large TV. There is a queen sofabed in the living room. 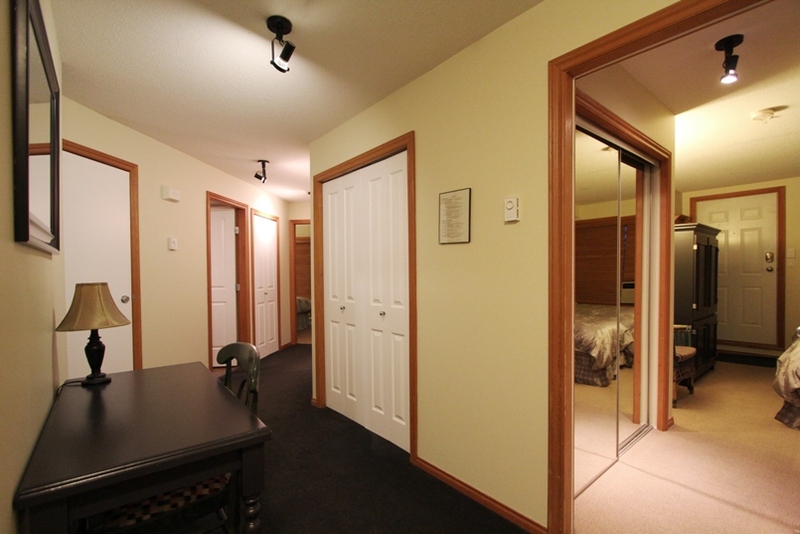 Both bedrooms are air-conditioned. 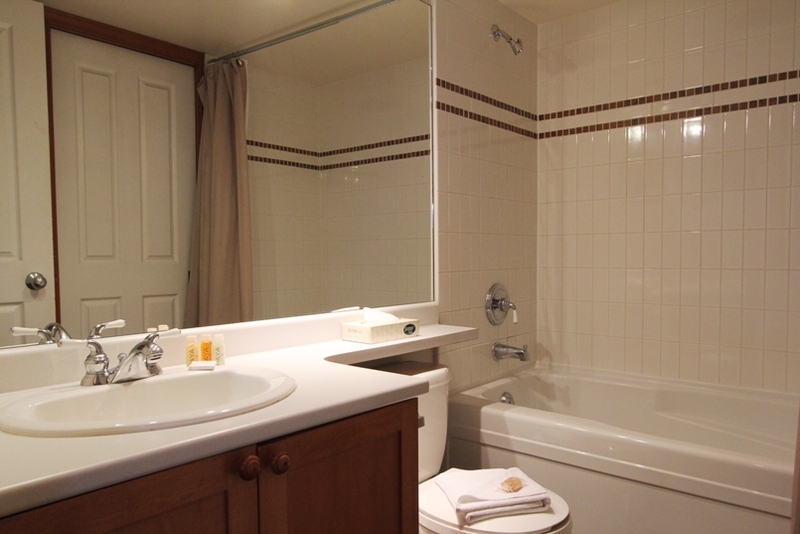 Both full bathrooms have bathtubs with showers. Glaciers Reach #66 has a private hot tub on the deck. There is one free underground parking stall. 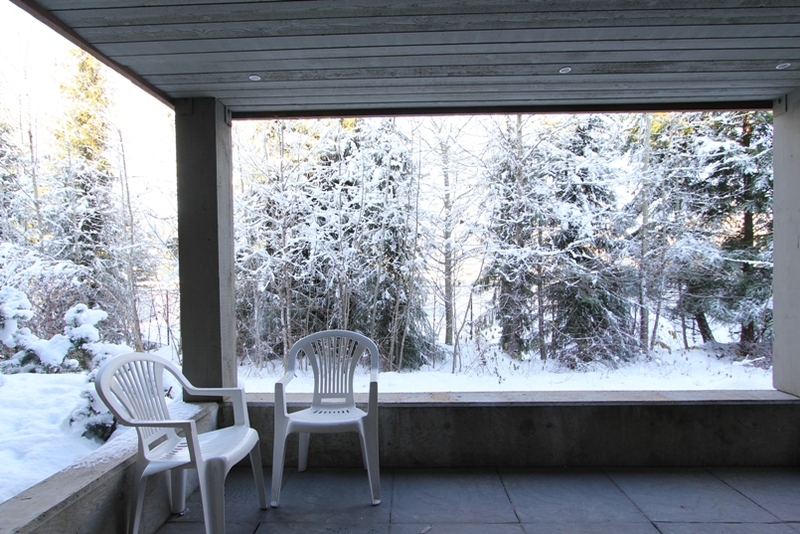 Guests at Glaciers Reach can also enjoy use of the common area hot tub and heated outdoor pool as well as the covered picnic area and common sauna.